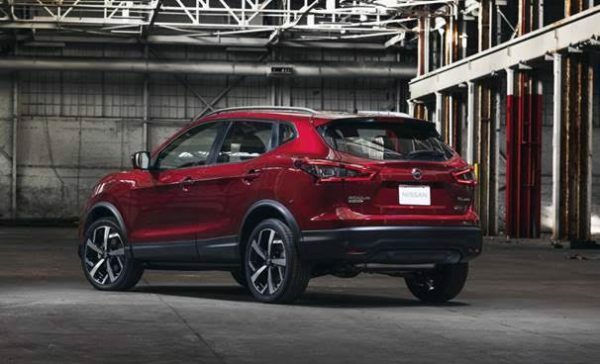 CHICAGO (Feb 7, 2019) – The 2020 Nissan Qashqai receives a fresh new front-end appearance for the 2020 model year, along with redesigned rear tail lamps, and option package content. Set for sale in fall 2019, the 2020 Qashqai expands on the long list of enhancements for the 2019 model year – which included the addition of available ProPILOT Assist, available Nissan Safety Shield 360 technology, updated audio system with standard Apple CarPlay® and Android Auto™ and available Bose®1 Audio System with nine speakers. 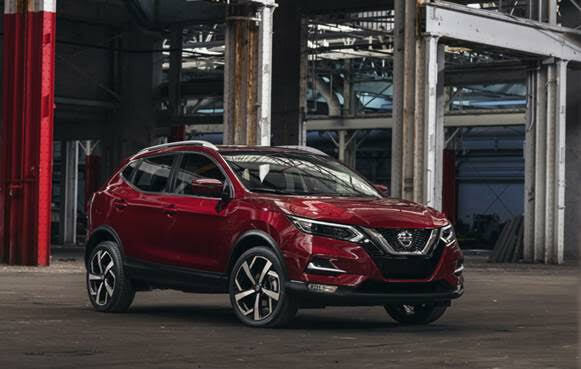 Most prominent among the 2020 Qashqai refinements is the new exterior design that offers a more technical feel – helping provide a greater separation from its Nissan Rogue stable mate. The new front fascia features a new hood, Vmotion grille and bumper. The aggressive lighting treatment includes LED signature Daytime Running Lights. In the rear, a new combination light design matches the more dynamic look of the front end. A new available 19-inch aluminum-alloy wheel design completes the exterior makeover. The advanced Nissan Safety Shield 360, currently offered on SV and SL grades, will become standard on all 2020 Qashqai models including the base S grade. Part of the Nissan Intelligent Mobility strategy, Safety Shield 360 includes Intelligent Emergency Braking with Pedestrian Detection, Rear Intelligent Emergency Braking, Lane Departure Warning (LDW), radar-based Blind Spot Warning (BSW), Rear Cross Traffic Alert (RCTA) and High Beam Assist (HBA). The innovative Rear Door Alert system will continue to be offered as part of Qashqai’s long list of standard features. In addition, ProPILOT Assist will again be available in 2020. ProPILOT Assist is a single-lane “hands-on” driving assistance technology that eases driver workload by reducing the amount of driver acceleration, steering and braking input under certain driving conditions, such as single-lane highway driving.2 The 2020 Qashqai will be offered in front-wheel and Intelligent All-Wheel Drive configurations, and in three well-equipped grade levels – S, SV and SL. It will again be powered by a combination of a 141-horsepower 2.0-litre DOHC 16-valve inline 4-cylinder engine in both a manual transmission (certain grades) as well as an Xtronic transmission with Eco Mode switch. For more information on the Qashqai and the complete lineup of Nissan vehicles, please visit NissanNews.com.